While the cost of purchasing a portable oxygen concentrator has come down over the past five years, it is still a big investment and often beyond the financial reach of those who need a portable unit. Purchasing a used portable concentrator can be an economical option and not terribly risky if you do your homework. 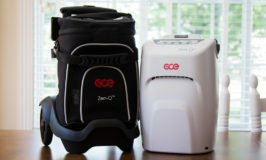 As with the purchase of any portable oxygen concentrator, the most important decision is determining which one is best for you. 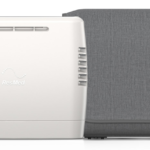 My series on choosing the best portable concentrator is a great place to start to help you think through the choices you must make when choosing a portable oxygen concentrator. In additional to oxygen output, size and weight, battery power and sound level, it is also very important to consider the warranty and service you will receive from the dealer. When purchasing a used portable oxygen concentrator the warranty can be a deal-maker or deal-breaker. While many tend to overlook the warranty on used concentrators, the warranty is essential and actually gives the unit its value. Without a warranty, an oxygen concentrator has very little value because the minimum cost to repair a portable concentrator is usually between $500 and $900 and manufacturer repairs include only a 90-day warranty. You may think you’re getting a bargain up front and then find that repair costs eat up the difference you saved and then some. Be aware that the warranty for a portable concentrator is issued to the original purchaser, which is the authorized dealer that purchased the unit from the manufacturer. When you are purchasing a used concentrator from an authorized dealer be sure to ask about the warranty that comes with the unit. You should receive a warranty of about one year and never settle for less than ninety days. Also ask if the warranty can be longer than one year. Since manufacturers issue a 3-year warranty on new units, there may be more than one year remaining on the unit you are purchasing. Reputable companies will gladly increase the warranty from one year to the length of the original warranty. When you are purchasing a used concentrator from an individual then doing your homework is even more important. Ask the seller the model and serial number of the unit, as well as information on the dealer from which they purchased it. Then contact the dealer and ask them about the warranty for the unit for a second-hand purchase. I have found only one dealer, OxiMedical, who will transfer the warranty internally from their original customer to another person. Without this internal warranty transfer, the warranty on the unit is essentially lost because the manufacturer will not do a warranty repair unless the original authorized dealer makes the request. There are exceptions to this, but only reputable dealers are willing to go the extra mile. If purchasing a used portable concentrator from an individual, request to try the unit before committing to purchase. You’ll want to make sure it is capable of producing the oxygen you’ll need and whether it meets your mobility and travel needs. I recommend using a fingertip pulse oximeter to check to your blood oxygen levels while sitting and walking. If you are purchasing from an authorized dealer, you will first have to complete the purchase, but you should receive a trial period during which you can exchange the unit or pay a minimum restocking fee. Again, use a fingertip pulse oximeter to give the unit a good test. Also be sure to test the batteries. If the unit is more than two years old the batteries may charge to only 50-80% of the original capacity. Depending on the model of the unit, new replacement batteries will cost between $200 and $500 each, so be prepared to have an additional expense at the time of purchase or within a year or two of purchase. With a little homework up front, you can enjoy the benefit of a portable oxygen concentrator without paying full price. Enjoy! Unfortunately, I don’t have any information that would help you. Perhaps another reader will be able to refer you. My name is Sarah Venton. I am a case manager for a homeless woman who is in desperate need of a portable Oxygen tank. She only receives Medicaid; so she does not qualify for the program. I can be reached at (773) 265-1207 x227. I am not a vet. I am in need of the machine and am low income husband vet. Not me. Can I help me. As I said I am in need of the pic I cannot afford and it is need contact me at 931 303 2384 or [email protected] thank you. My name is vivian cortez and while im browsing how to find a very cheap oxygen concentrator accidentaly i see this and u said u just want to donate the unit that u bought from your son. I dont know if it is appropriate to ask you that is it ok if you donate it to my friend? She really need oxygen and she couldn’t rent cuz its very expensive and because of her health situation she cant work anymore. If you interested to donate it to her please email me. Here is my email, [email protected]. Thank you very much and god bless. Unfortunately, I am not at all familiar with that model. It appears to be a Chinese-made portable oxygen concentrator. The translation to English usually results in odd wording, which may be the reason for your difficulty. I recommend you contact the company from which you purchased the unit as they should have access to the manual and parts and would be able to explain it to you. I have seen neither, but may be able to offer assistance if you have a specific question. Certainly Appreciate You for sharing good & important knowledge that has enlightened me about these O2 concentrators with regards to their type & capacity as I need to arrange one for my mom & her age is 95 yrs. As this stuff has been recommended by the doc. It is something which I had not known about, with the info. You’ve provided it would help me select the right requirement. Thank You. I like your advice to try and test the unit before you commit to purchase it. Just like buying a used car, you need to make sure the oxygen concentrator works if you are buying used. This information would be perfect for anyone who might have some questions concerning what to look out for when buying an oxygen concentrator.